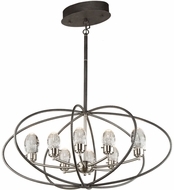 From generations past to the modern era, chandeliers have marked the time. 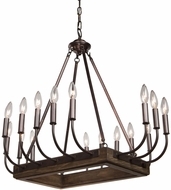 Divided into fourteen sub-categories, including rustic, modern, candle, crystal, and wrought iron chandeliers. 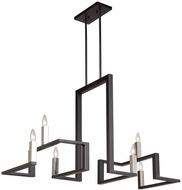 These fixtures feature multiple lights, elegant design, eclectic taste, and they will definitely impress all who fall under their warm light embrace. Mini versions are also available for those with limited space. 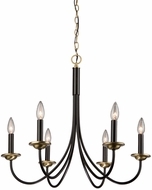 Traditional chandeliers can be formal or foppish, English or New England, Southwestern or Latino style. 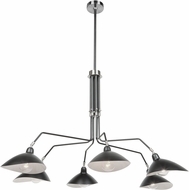 These affordable fixtures are a tribute to a bygone era, yet they are always fashionable. 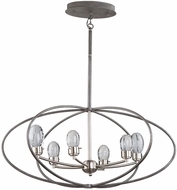 Tiffany products feature Victorian and Old World sensibility, with hundreds of pieces of fine art Tiffany glass for each crystal fixture. 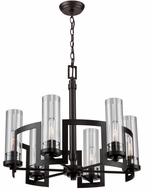 Transitional styles are the bridge between Old World and modern/contemporary, and these fixtures can be Italian, British or Spanish in design. 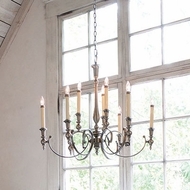 Alabaster chandeliers have that unique warm, cozy glow that can only be found here, and come in three, five, six nine and fifteen light versions. 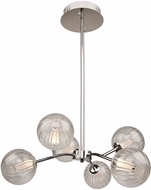 Finally, modern and contemporary models run the gamut from mod to moxie, with such names as Fusion, Hive, Galaxia, Ribbon and Lafayette. 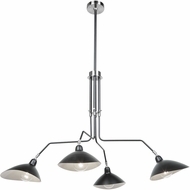 Those who are looking to simplify may consider�ceiling lights�or�track lighting�to complement or replace their fixtures. 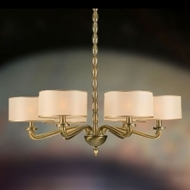 Throughout the ages, even before the invention of electricity,�chandelier light fixtures�have been considered a symbol of prosperity, class, elegance, and sophistication. 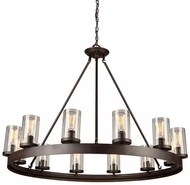 While the designs have changed over the years, nothing can compare with the sense of wonder and delight inspired by chandelier fixtures, such as wrought iron candle, wrought iron crystal, and other modern lighting fixtures properly displayed in a living or dining area. 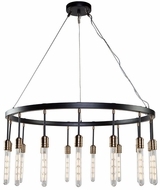 These can really fit with any home d�cor, and they are definitely becoming more affordable as people realize the value of quality home lighting and the beauty of affordable chandeliers. 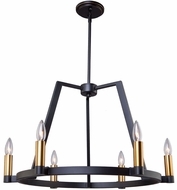 These decadent light fixtures can be constructed of anything � steel or brass, or even glass, and hand-forged wrought iron lighting�are certainly popular these days. 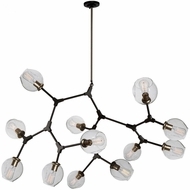 Many people imagine chandeliers to be giant fixtures, taking over an entire room, but�contemporary lighting�layouts often call for more delicate structures, such as mini versions or candle chandeliers that are quite reserved and simple in terms of their accents and ornamentation. 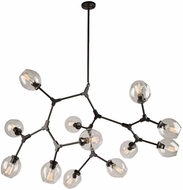 The best modern styles are also available in these smaller varieties, and if multiple lights in candle chandelier lighting or crystal chandelier lighting are still too much opulence for a simple, minimalist home decor, there are always the less complicated�pendant light fixtures�to brighten up a bedroom or foyer. 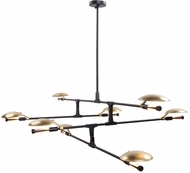 Some people may prefer a more elaborate, traditional style as opposed to the somewhat geometric and industrial contemporary alternatives of today. 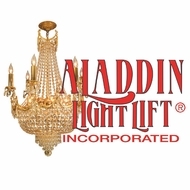 In that case, we recommend looking into�crystal lighting�or rustic chandeliers for a fixture that is more ornate and detailed, showcasing lots of sweeping curves and curling rods, glittering embellishments and intricately laced frames that are the hallmark of the this style of light fixtures. 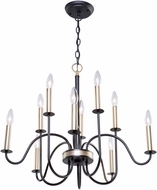 While chandeliers are often considered to be fixtures of the Dark Ages � huge Gothic monstrosities only fit for ancient castles � many light fixtures are now incorporating modern technology into their construction, especially wrought iron candle models and modern products. 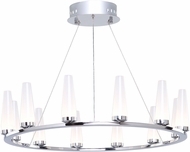 As home owners and interior designers begin to appreciate the value of “going green” and installing energy efficient lights, manufacturers are producing more and more energy saving�fluorescent lighting�and even some with LEDs. 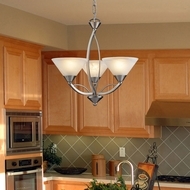 With these Energy Star rated lights, you can dazzle guests with your discount chandeliers from AffordableLamps.com and not go overboard on your electric bill. 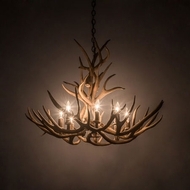 Not to mention the benefits for Mother Nature! 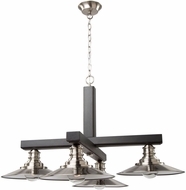 Thus, your savings over the long haul will include more than just the product cost of the fixtures you buy through us. 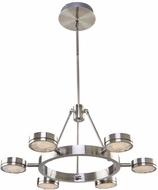 Chandelier lighting�with inexpensive fixtures is an incredible way to illuminate your home with excellent quality fixtures and unique, elaborate designs. 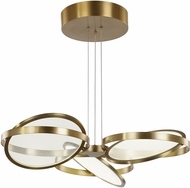 Any motif in any room in your house can be perfectly complemented by a fixture full of character and whimsy, refinement and sensibility, all merging seamlessly in one beautiful light source. 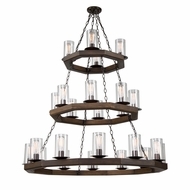 Buy wrought iron crystal, discount candle chandelier lighting, and other chandelier fixtures from Affordable lamps, and make your home look great at a price you can afford.